No matter how you define a great cookout, the perfect barbecue always has the same three things: meat, fire, and a delicious drink. 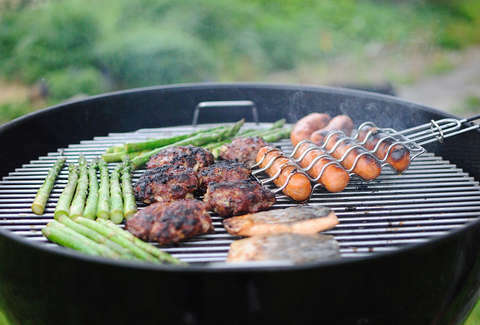 Even campfire-style cooking can produce an excellent piece of meat, but there’s no reason your barbecuing equipment needs to date back to the Stone Age. 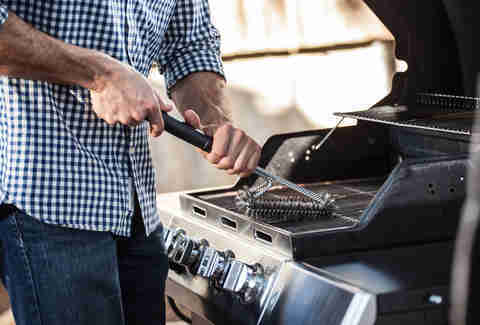 So level up your backyard experience with these 12 premium grilling gear must-haves. Every home cook who hasn’t died from salmonella has a basic meat thermometer, but step it up with a professional-grade, two-channel temperature reader that lets you gauge not just the heat in your meat, but also the temp of the fire. The fat cap on your brisket will thank you. While any old charcoal grill might suffice for a few burgers, if you want to start barbecuing for real, go with a durable multi-level smoker like the Smokey Mountain Cooker. A water pan helps keep the meat moist and allows for flavor experimentation, a built-in thermometer is a nice touch (but you’ll also want backup like the one listed above), and the two stacked cooking grates allow for more control over multiple types of meat. If you’ve stood in line for hours outside legendary pitmaster Aaron Franklin’s always-packed Austin restaurant, you know his brisket is as good as it gets. 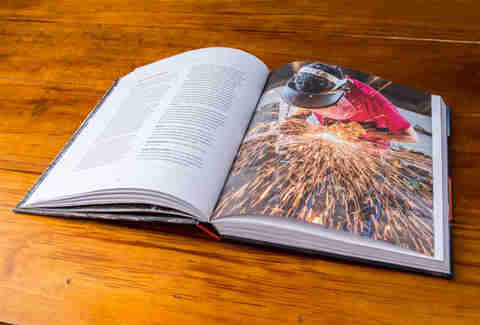 It’s unlikely you’ll be able to recreate his magic, but you might as well aim for glory by taking to heart his elaborate but still easy-to-follow recipes for smoky success in Franklin Barbecue: A Meat Cooking Manifesto. In addition to serving as the official Meat Bible, the manifesto also holds a super-secret recipe for his espresso barbecue sauce (which less-motivated cooks can buy here). Barbecueing is about simple pleasures, and while whatever flimsy forks you have lying around the kitchen will do the trick, treat yourself to these wood-handled tongs. They look great, insulate from the heat, and in a pinch they can double as fuel for the fire (Editor’s Note: Don’t do this). Cleaning up may be the worst part of barbecue, but at least do it right with this stainless steel wire bristle brush. If you cooked it correctly, your meat should stand up without the dousing of outside products. But if you still want a little something extra to amplify that marbling, go for a rub. A pitmaster’s rub is a sacred mixture of salt, pepper, and secrets, but barbecue maven Jess Pryles generously shares hers in her online store. To really turn up the taste, try the Amplify, which somehow boosts umami flavors without the addition of MSG. If you’re looking for sauce instead, take cues from the barbecue grand champions from The Shed in Ocean Springs, MS. They offer seven different sauces and marinades, from Mississippi Gold to the Beef Blaster. Your grilled meat deserves some grilled veggies to go with it. But without a proper cradle for anything smaller than a t-bone, you can expect a few side dish sacrifices to the flames. 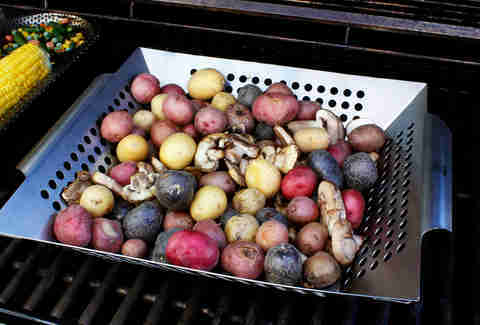 So get those greens on the grill in one of these stainless steel baskets. A successful barbecue depends on a lot of things staying cold during transport. The pros agree nothing performs like a Yeti Tundra cooler, and the Austin-born cooler is known cookout wide as the best in the biz. For the lighter-fluid averse and the gadget obsessed, this electric charcoal lighter takes the flame out of starting a fire. 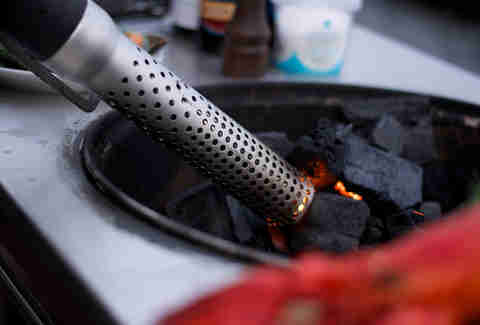 Just in case flare-ups are your main concern with charcoal grilling. Okay, if you’d rather spend money on steaks than a fancy way to light your fires, keep it simple with a chimney starter that will take the headache out of starting your cookout. It won’t rust, it’ll save time, and you can even make a few solid Santa Claus jokes. Part of barbecuing is the spectacle of it all, and if you’re trying to create an atmosphere, follow the footsteps of the country’s best pitmasters and keep it old school by using butcher paper as a plate. It takes the headache out of cleanup, keeps raw meats from making cutting boards unsanitary, and most important, makes you look like you actually know what you’re doing.